Many younger Christian men avoid marriage because they are afraid of choosing the wrong woman to be their spouse. It’s no surprise given all the images we see of men being cleaned out by the wrong woman. I tell you the truth, if you learn how to find a wife God’s way you can’t go wrong. One of the most important things I stress when speaking to Christian men is the importance of finding a Godly wife and, while not to rush, to marry sooner rather than later. The reason this is important is that: let’s face it brothers; the female form is one of, if not the, most powerful weapons the enemy uses against us in our journey towards God. The Lord created the woman for man and the man for woman in the proper channel–marriage. The thing is it’s much more complicated than that. Sometimes my good intentioned fellow teachers and writers put too much emphasis on marriage–inadvertently leading young men to choose the wrong wife or even leave Christ. Avoiding corporeal sin is just one reason Christian men should seek marriage. Another important reason is that a good wife is critical to helping a man on the right path to God. It is written in Genesis 2:18 “The LORD God said, “It is not good for the man to be alone. I will make a helper suitable for him.”. Scientific data bear this out. It is proven that married men live longer, make more money, and are happier than their single counterparts. In order for a Christian man to have a Godly marriage, he must choose a Godly woman who will help him on his journey. What makes a Godly woman? The most important is that she is serious about her faith. She is a kind woman that wants to support her husband and will stick with him through thick and thin. It is written in Proverbs 18:22 “He who finds a wife finds what is good and receives favor from the Lord.” You see the word ‘find’ is written. I strongly believe as men of God it is our job to pursue and court a woman. The world tells us it’s okay for a woman to pursue a man but I feel that is against God’s plan. Any pursuit of a woman should always begin with prayer. We must pray for His guidance when seeking a life companion. I tell you the truth, Christian men are often the targets of gold diggers, scammers, and others with nefarious intentions. Many gold diggers choose Christian men as their targets because they know that God has commanded us to take care of and honor our wives. An acquaintance of mine from college was a good guy but had a serious problem with lust. His goal was to get married right after he graduated to fulfill his desires. In his words, he wanted “The hottest bod [he] could find”. He ended up with a girl that was Christian in name only. She regularly went to bars, loved to adorn herself with expensive jewelry & clothing, and even got a breast augmentation. She managed to sink her claws into him and despite pretty much everyone telling him she wasn’t the right girl for him (2 pastors even declined to marry them) he married her anyway. Last I heard a year ago she maxed out all of his credit cards, ran up massive debts, and then filed for divorce. These general guidelines will help those of us who are looking for a Christian girlfriend to become our wives. The first step is to separate ourselves from the world’s view on dating. The world’s way is not God’s way. The world tells us to play the field and ‘try it before we buy it’ but that’s not what Christ has taught us. It’s important as Christian men that we date with the intention to marry. That doesn’t mean just take the first woman that’s even marginally compatible and shows interest. It means we should be searching for a woman that can become suitable a life partner. Which leads me to my next point. Some people teach that as Christians we shouldn’t look at outward appearance when selecting a mate. As Christians, if we really want a Godly woman our dating pool is limited. The women that are most likely to draw our eye are usually the ones we shouldn’t be dating. In my opinion, looks absolutely do matter. There has to be some physical attraction. Plus a woman that can’t control her eating probably lacks discipline in other important areas as well. A good rule of thumb for Christian men to follow is if you can see yourself being intimate with her with the lights on then she’s pretty enough. A good ratio is 30% looks 70% personality. Not the other way around like many younger men like to think. I would be remiss in my duty if I didn’t point out that we too must work to make ourselves physically appealing to a female as well. Remember, women have eyes too. I’m not saying you need to have abs to get a good girl but if one is overweight working to lose some of it will help you tremendously in your search for a suitable spouse. Not to mention as servants of God Christians are commanded to take care of our bodies. (1 Corinthians 3:16-17) (1 Corinthians 6:19-20). If you have weight to lose try the 1 Week Diet. It’s the fastest weight loss plan I’ve seen! Some women will claim to have Jesus in their hearts but their beliefs are inconsistent. If she tells you that she loves the Lord and is serious about her faith yet can’t recite a single Bible verse verbatum that shows lack of sincerity. Remember the shortest verse in the Bible is just two words “Jesus wept” (John 11:35). Think about it, would you take someone seriously who said Star Wars was their favorite movie but couldn’t recite a single line from the film? Men of God must behave in a manner that bequeaths the teachings of Jesus. If you truly want to be a Godly man there are the obvious things I’m sure you already know: don’t push her to sin with her body, respect her, and honor her etc. While those are correct the role of the man in the relationship is to lead with honor and integrity. It’s your job to make sure the relationship stays on track towards a loving marriage or end it (1Peter 3:7). Let’s say, for example, you’re dating a nice young lady. She’s educated and has good morals but you’re just not feeling it with her. Even after trying and trying the feelings just aren’t there and you’re seeing her getting attached to you more and more. It’s your job as a man to put the breaks on. Yes, it will hurt her temporarily but we both know it’ll hurt her a lot more if she finds out that you just settled for her. If you’re not feeling it with her despite the fact that she looks good on paper that means God is trying to tell you she’s simply not the right woman for you. The core of a Christ-like man and husband is to be a leader of his household and stand with honor & integrity. Christian women want a man that shows strength, not just physical strength but the strength to stay in the path of Christ despite all of the temptations and desires that will be thrown at you two. In order to choose a wife God’s way then we must look in the right places. If we meet a girl at a bar she’s obviously less likely to have the values that God wants us to look for. Church or another distinctive Godly environment is the best choice but there are other options such as Christian dating sites. I met my wife on eHarmony. Read my story of how I met my life partner. eharmony one of the largest Christian datings site in the world. They let you see your matches for free. Check to see if they still do that. Christian Cafe is another great option as they work to actually keep the site as Christian as possible–not to mention it’s Christian owned. 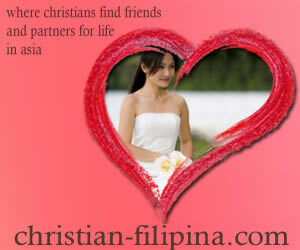 If you are adventurous and want to look abroad try Christian Filipina. Many mature Christian men look to the Philippines as the women are traditional and have a more forgiving attitude towards age than western women. Those websites never work for me. All I ever got was one disappoint after another. Have you considered looking abroad? Filipino Kisses is a good site to start with.